Guys, how was your Monday? Всем привет! Я надеюсь, понедельник прошел у всех легко. Мой был очень позитивным: я провела день с Ксюшей, мы пили капуччино и были в салоне красоты. Если в будни занимаешься ничегонеделаньем один – то это форменное тунеядство, а вот если с другом – то это уже дружеские посиделки) Так что будьте бдительны!) На мне джинсы и рубашка из денима, чувствую себя в таком наряде очень комфортно! Ну и конечно, куда без моей любимой сумки. Merhaba arkadaşlar! Umarım sizin Pazartesiniz iyi ve stressizdir! Benim ki güzel geçti: biz Kseniya ile vakit geçirdik, cuppuccino içip, güzellik salonuna gittik. Bu gün için ben bir combin seçtim. Tabi ki benim en sevdim çantamı almayı unutmadım. Love this denim on denim look. You style it perfect and great! 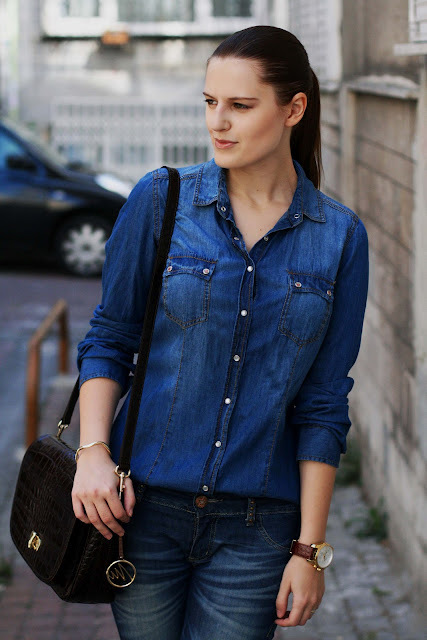 Hi dear, the layered denim look is a great example of casual elegance, looks very chic! lovely look! you are perfect! *International Giveaway*Enter to win Pair of lens. Красивые и дорогие аксессуары.Особенно кожаная сумочка. Оригинальный браслет.Мне понравилось. You look great! Love the denim on denim! I love this total denim look on you! you look really cool in ur denim outfit. You are rocking the Canadian Tuxedo, my dear! lovely ... u look pretty in this photo shoot. ps: checkout galaxy inspired trend GIVEAWAY!! LOVE denim on denim - and LOVE your watch too! Очень, очень и очень нравится этот образ! Невероятно стильно! Редко видела такое элегантное сочетание джинсы с джинсой. Плюс абсолютно правильные прическа и аксессуары!!! Denim on denim ve siyah kombin çok şık! This denim on denim looks really great. I love this style. Lovely bag and shirt. i like outfits full of denim, it's awesome! Клаааас!! Обожаю полностью джинсовые наряды, по-моему, очень стильно и современно! Sounds like the perfect Monday,if only every Monday,could be like this.I love the double denim look,very chic.thanks for the style inspiration and for your lovely comment. The D look is amazing! I love your bag and shirt! nicely done! love the accessories! I love the denim on denim! beautiful outfit dear.. love your shirt!! great look dear! !love your bag!! You make denim on denim look stylish! So nice ^^ love denim on denim! Hi! 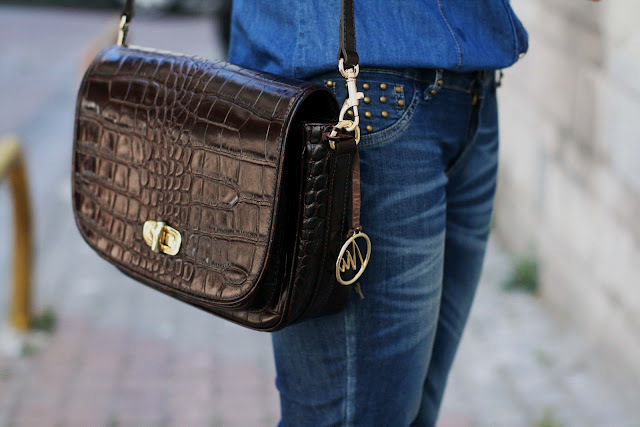 I love your bag, is really cool. About my Monday, I had a good day, with a short shopping moment but this weekend, promise to be the best. Kisses! I'm follow you on GFC! I'm following you, you can follow back? thanks for the lovely comment, i love your blog! btw, nice denim outfit, simply gorgeous! Great Look! Comfort and Fashion, it's a hit. Yes, I will follow you. Thanks for your kind comments, I hope to see you in my followers. que guapaa!! el look de 10! I adore total denim looks!!! :D And you are so beautiful! I like your bag! Nice denim outfit! Love denim!! And thanks for comment my blog! I follow u now in pvt hope u do the same!! ohh you're so pretty!of course i would like to follow each other!i follow you now,hope you follow me back! Very stylish! You look so effortlessly chic! Love it. Yes, let's follow each other! I'm following you, waiting for you! I love your denim look!! :) Perfect! Hi, thank for you comment. I love this blog and I love Turkia ajjaja. I read and follow you. Wow I love your outfit, and the bag is so pretty!!! 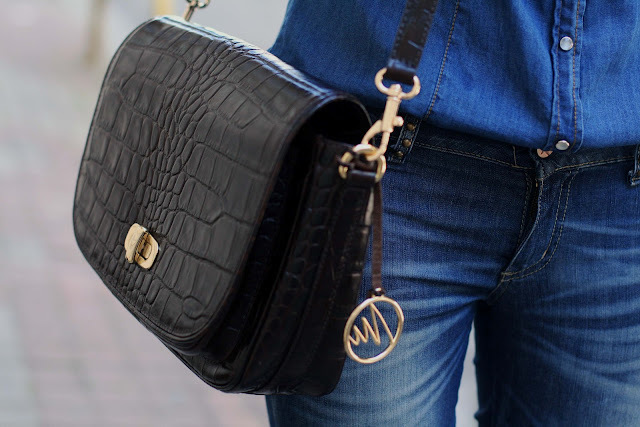 ove your denim outfit and your bag! Would you like to follow each other? Amazing look, I love total demin looks. This is perfect! I love the whole Denim look and the black shoes looks great with it. Love this look, it's so effortlessly chic, leather and denim is a yes definately :) pretty ! lovely outfit!i love total denim outfits.looking so nice. Thank you for your nice comment :). I love your Bag. You look amazing!!! Following you now. Do you want to follow me back? Nice look! Love total denim! 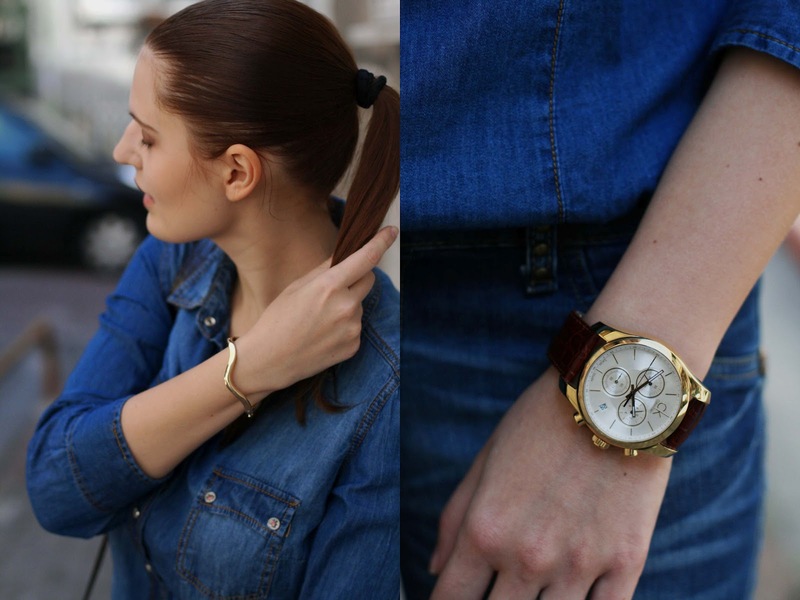 Great denim-on-denim look! Your jeans are really cute!